THREE of my favorite spots in Milwaukee were able to be explored! We started our day with the ladies getting ready at the Kimpton Journeyman Hotel. Then hopped on over to the guys at The Pfister! 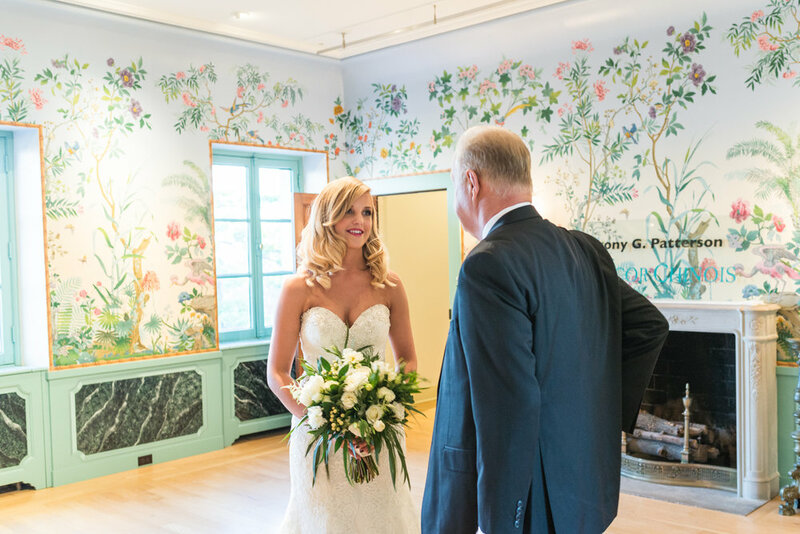 The wedding ceremony and reception was held at the beautiful, Villa Terrace Decorative Arts Museum. If anyone knew that the Kimpton had beautifully luxurious bathtubs and failed to tell me- Please come forward. I still can't get over those gigantic bathtubs. If you haven't already, you GOTTA check out the rad wallpaper room exhibit at Villa Terrace ! As per usual, another stunning couple on their wedding day delivered nothing but beautiful images to be remembered for a lifetime.